Nysa’s Honours project on developing an assay to quantify sheep inflammatory cytokines was a collaboration between the Critical Care Research Group at the Prince Charles Hospital and Australian Red Cross Blood Service. Nysa’s Honours project also received a New Investigator grant from The Prince Charles Hospital Foundation. This assay would help characterise the inflammatory response in an animal model of extracorporeal membrane oxygenation (ECMO) receiving transfusion with either fresh or old blood. Upon completion of Nysa’s Honours, Nysa was then employed by the Australian Red Cross Blood Service as a Research Assistant. For just over three years in this position, she gained knowledge and laboratory skills in resolving the complexities of blood typing the RhD antigen when there is a gene variant. 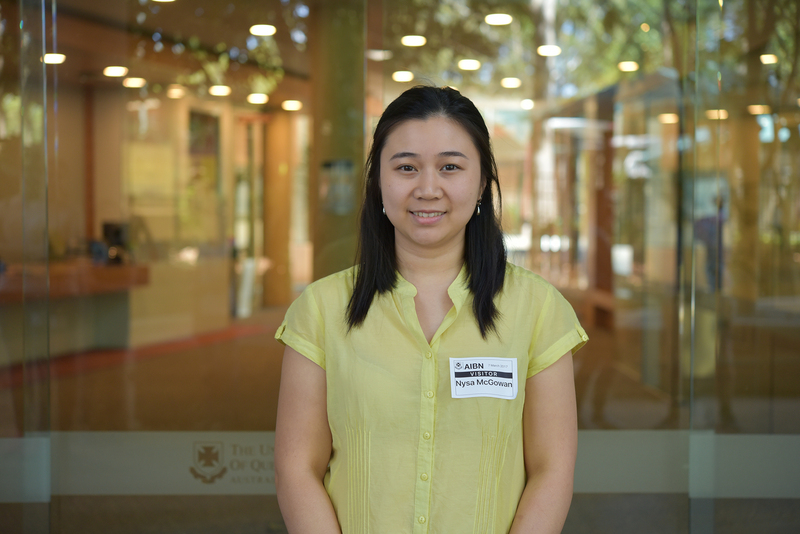 As a PhD student, Nysa will be continuing to explore the realm of blood typing with the Australian Red Cross Blood Service and ARC Training Centre for Biopharmaceutical Innovation at the Australian Institute of Bioengineering and Nanotechnology. Bachelor of Applied Science (Medical Science) and Bachelor of Biomedical Science (Honours), Queensland University of Technology.